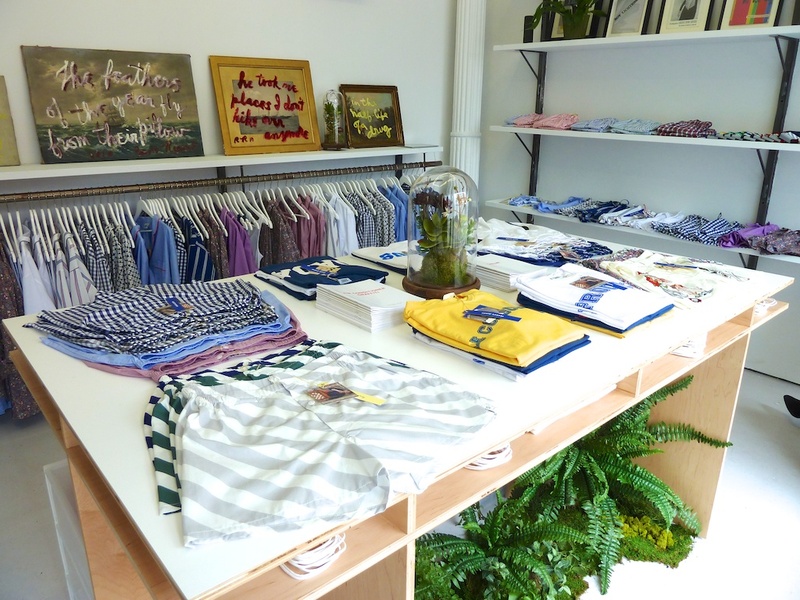 The Bowery Yawns: A Visit to Sleepy Jones’ Store. | A Continuous Lean. The Bowery Yawns: A Visit to Sleepy Jones’ Store. 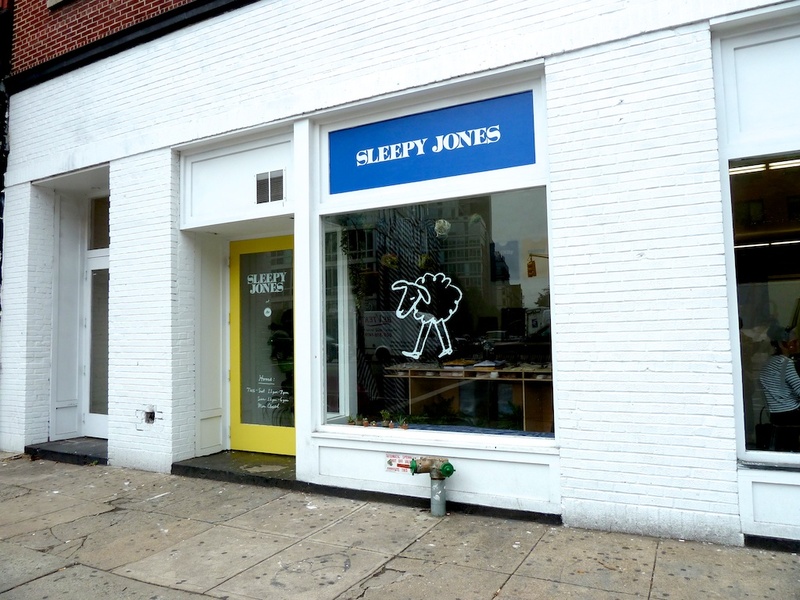 It’s been said that the Bowery has been getting increasingly sleepy over the past few years, but Sleepy Jones just made it official. Situated at the center of the once raucous street, Sleepy Jones’ holiday shop might be the most tranquil retail experience this city has ever seen. Sleepy Jones, which was founded earlier this year as a “not-quite-ready-to-wear” line from Partners & Spade, has found a fitting home in their new space, which acts as unapologetically pleasant extension of the brand’s heavy-eyed ethos. Sleepy Jones is not so much about sleeping as it is about waking up. There’s a lackadaisical air to the whole space, which seems to reflect an early morning atmosphere, before the day’s worries have really set in, when your mind is still free to wander. It’s this spirit that makes the shop’s location inside the legendary “Hole” gallery, such a logical move. 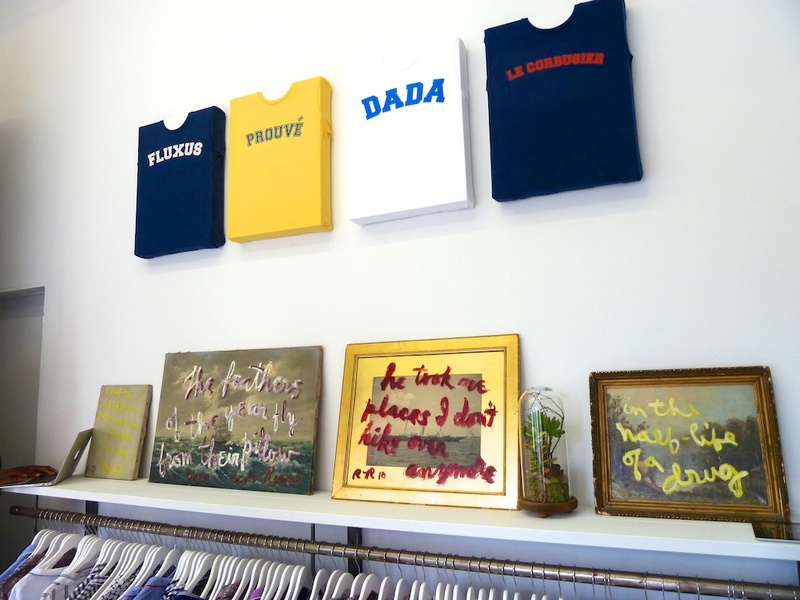 The tees that adorn the wall like hanging frames, are printed with names like “Dada” and “Le Corbusier” as an homage to creatives that were as well-known for their work as for their experimental approach. The pajamas down below are reminiscent of canvases, with their geometric patterns and pastel colors. Yet it’s the space itself, full of lush, drooping plants, well-worn book jacket covers, and even a few eye-drop bottles, that really brings the brand to life. To buy clothes is one thing, to buy into an attitude is another phenomenon entirely, and with the unveiling of this shop, it’s clear that what Sleepy Jones is really selling is a lifestyle of lethargy that you just can’t help but buy into with a sleepy grin. AH HA! You’re over here now. Sounds like an interesting concept. Chunk a little coffee area in there and it’s the perfect Sunday hang out. Like the Dada varsity-type tees. If you buy in, you will be sleepy. From the second job to cover the cost; but man oh man, it looks gorgeous.